"Well-behaved women seldom make history" says it all! Make an apron or tote bag with this pattern. Apron measures 22" x 30.5"; tote bag measures 16" x 16" x 4". 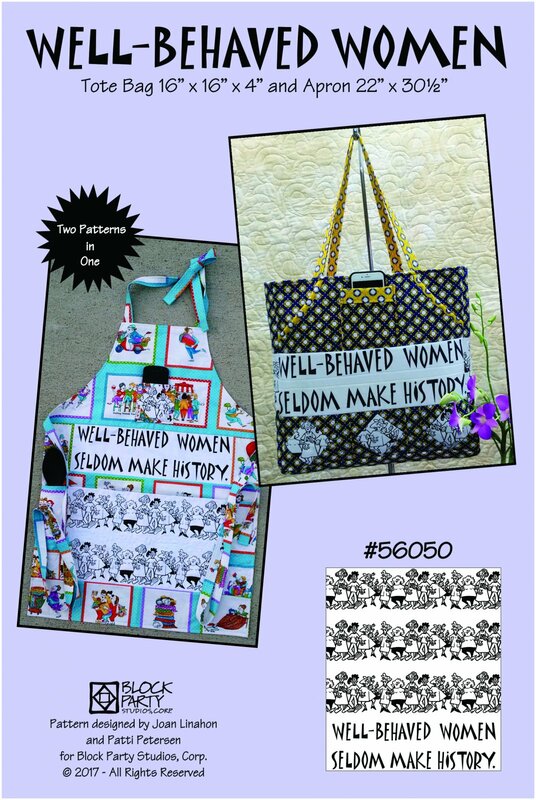 This item includes both pattern and one panel (1 only) printed with black ink on white fabric.